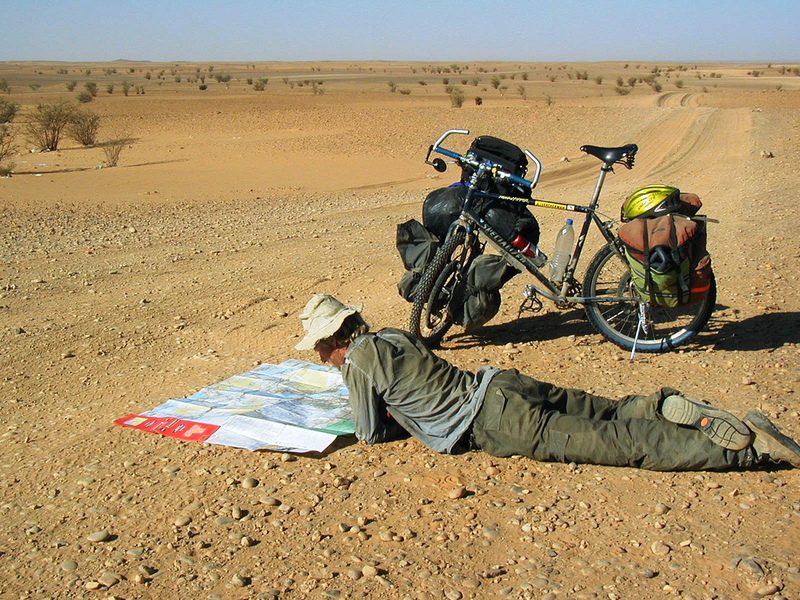 I gather that your round-the-world bike tour was your first major expedition. What inspired you to hit the road for four years? I’d done a few shorter bike trips before that. I’d done three different trips of three months in different parts of the world. My first one was the Karakoram Highway from Pakistan to China over the Karakoram mountains, which is still one of the best rides I’ve ever done. Then I did Mexico to Panama. And Buenos Aries to Lima across South America. Each time when I got to the end, I was slightly frustrated that I had to stop and go home. I decided that I wanted to do a trip where I didn’t have to stop. I’d make it as big as I could. There were so many cool places I wanted to go. When I was planning the idea just grew and grew until it was a trip around the world. It seems like there’s a deep culture of adventure in Britain. Do you feel like that influenced you to take those first bike tours at an early age? Yeah. I think there is a culture of it in Britain and I think like anything in life it becomes self-fulfilling. I read lots of stories of people doing great adventures and quite a lot of those people were British. It just helped you realize it was possible for you as well. It didn’t feel as unrealistic. If someday else in the same country as you has gone off and done something, maybe you can as well. There’s a legacy of lots of people doing this stuff and it is exactly the reason more people continue to do it. 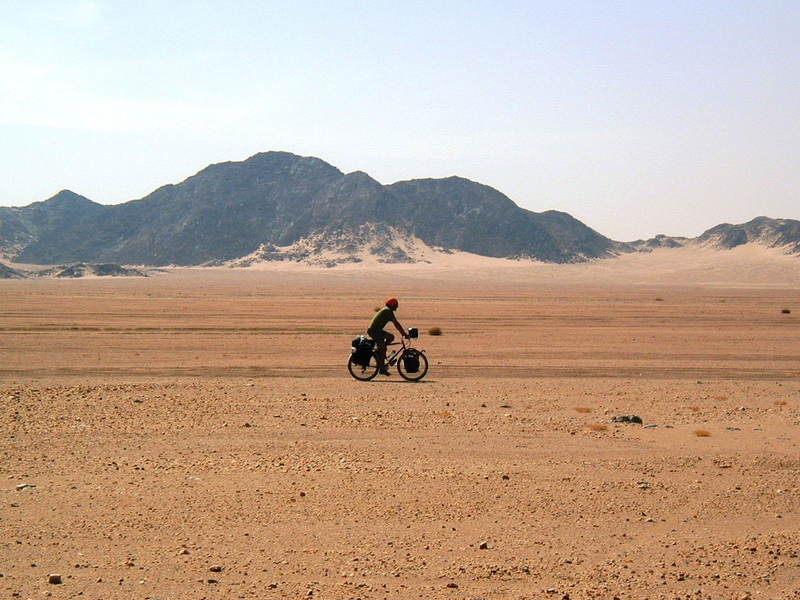 Alastair Humphreys on his four year, round the world bike tour. Photo by Alastair Humphreys. A four year trip around the world surely had a profound impact on the way you viewed life. What were some of your biggest takeaways from the tour? I think that the number one biggest thing was that the preconceptions I had about countries was always wrong. And particularly when I had negative preconceptions about places. I came away realizing that the world is a lot kinder and friendlier and safer than it appears to be on TV. Traveling by bike is brilliant. You are automatically intriguing, novel, nonthreatening and going so slow that it’s a very good way of interacting with people. These are things that lots of people who’ve done big bike journeys realize. But until you’ve gone and done one yourself it can seem surprising how safe and welcoming and friendly the world is. When did you start thinking you could make a career as a professional adventurer? Not for quite a long time really. Not until at least a year after I came home from my round-the-world tour. I came home and started writing a book and to pay for my life while I was writing that book I started giving talks in elementary schools, high schools, anyone who would have me. They gradually started to pay me and I gradually started to ask for a little bit more and more until I started to think maybe it might become viable. It certainly wasn’t the plan at first. 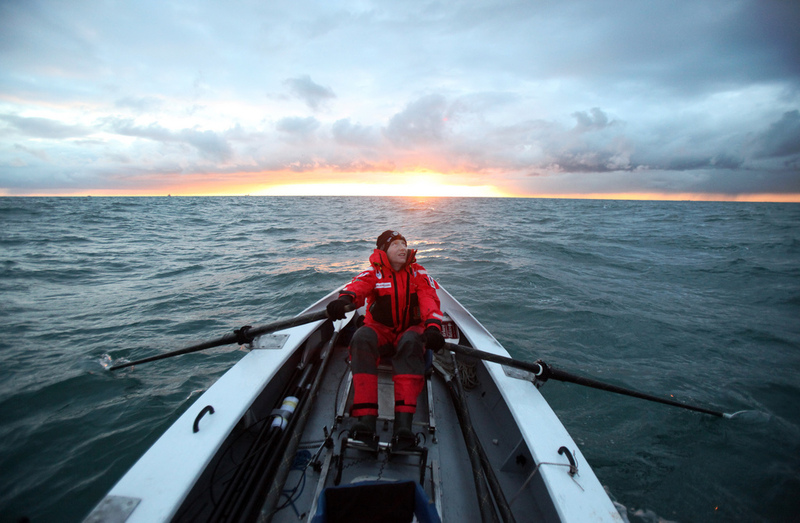 Alastair Humphreys rowing to Paris. Photo by Danfung Dennis. Is it always that pattern? Go on an adventure, write about it, give talks about it, repeat? Completely. Now that it is my job–which I love and feel very lucky about–the slightly more pragmatic side of life dictates that my next choice of journey always has to be something that’ll add a new type of story to the pot. That’s largely the reason I haven’t gone off to do other bike trips. I’ve already cycled around the world so if I went and cycled coast-to-coast USA, that wouldn’t really add to my round-the-world stories. That’s why my journeys have generally been quite different since then. But yeah, I do a trip, come home, write books, give talks, make a film, do it ’til I’ve got enough money, then go off and do another trip and start the cycle over. I think a microadventure is just an adventure. It’s nothing more, nothing less than however you might define adventure. The difference is it’s an adventure that can be done with limited time, limited budget, limited skill, limited equipment, without having to live somewhere wild and beautiful like Seattle. You can do it in boring old London. It’s about squeezing adventure into the windows of opportunities in your life rather than feeling a bit sad that you don’t have the opportunity to spend three months in Patagonia. It’s a concept that certainly seems to resonate with people. What are you hoping to accomplish with all of your microadventuring and promotion of the idea? At first I never really intended to achieve anything except to try and encourage people on my blog to do it. The idea is growing quite happily now and I’m becoming more passionate about it. I suppose if I needed a global ambition it would be to try and persuade everyone to go and sleep on a hill and swim in a river just once. Try it just once. They might hate it or they might love it, but I just want people to try. That’s it: everyone in the world go sleep on a hill. 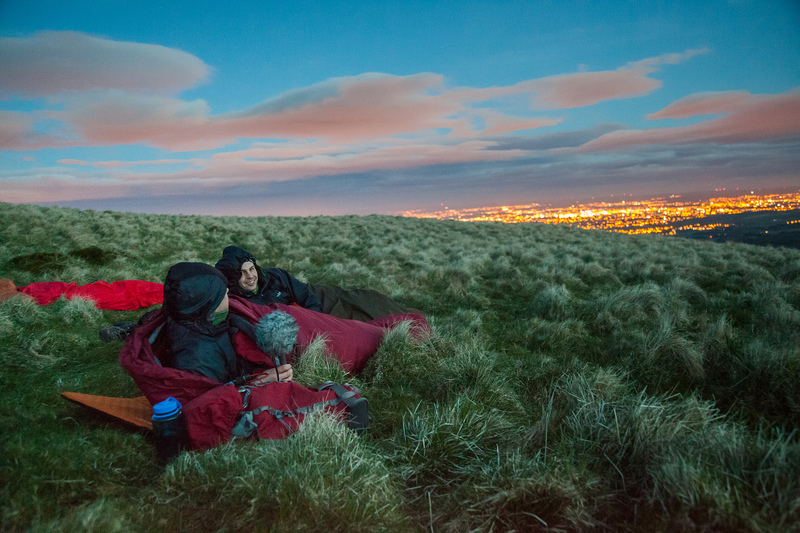 On an evening microadventure on a hill outside Glasgow, Scotland. Photo by Alastair Humphreys. The idea of microadventures is sort of predicated on the assumption that adventures are good for everyone. Why should people have adventures? I think people should have adventures because they are fun. That’s a simple enough reason. They give you perspective on life. Stepping away from all the business of real life: Jobs and homes and mortgages and cellphones and Facebook. Stepping away even for a short while gives us a perspective. It helps us keep a sense of proportion to things. I think doing adventures that start to become more difficult are good because you push yourself harder and learn a bit more about who you are. Also I think a good adventure has a bit of misery and pain and suffering and that can be good because it reminds you to be grateful for all the things you have at home like friends and family and a bed and food and water that we tend to take for granted in life. Of your many expeditions and adventures, do you have a favorite? I like trips for different reasons. You can have a trip that might be the hardest and you would perhaps hate it at the time, but be grateful for it later. For me that might be rowing the Atlantic. I like trips where you learn a lot about people and that would be walking across India. I like trips where you see no people and you just spend time in incredible wilderness and that would be crossing Iceland. Then I guess doing something that’s so epic that it’s going to shape your life forever would be my bike trip. It’s the biggest one I’ve done and will ever do. As a professional adventurer it seems like a piece of your job is not knowing what’s on the horizon. Things probably shift and evolve a lot even on a year to year basis. Have you enjoyed that aspect of the career? Yeah definitely. I tend to just take the opportunities as they come along. Or make opportunities in the stuff that becomes available. I don’t have a grand career plan. I’m not on some apprenticeship towards a specific lifetime goal. I honestly have no idea what I’ll be doing a year from now. But being my own boss means I’ll probably be excited about whatever it is because I’ll have the freedom to be creative and to do what I want. I love doing new things in new places with new people, so I really like the uncertainty element. What advice do you have for people who maybe don’t necessarily want to follow in your footsteps, but want to have an adventure that’s big for them? The first thing to do is to not make the mistake of looking at people who’ve done big stuff and thinking they are amazing super heroes who are different. That’s a mistake people definitely make and something I used to do before I started doing big trips. I am not some sort of super hero muscle man and nearly everyone I know who’s done big adventures would say exactly the same. They’re just normal people. The only difference between people who have done big stuff and people who haven’t is the choice of saying, “this is what I’m going to do” and committing to make it happen. Putting a date in the diary and saying “I’m going to begin on this date” and just making it happen. You will never have enough time, or money, or expertise. You’ll never be ready on the date you need to leave. Nothing will ever be perfect. You just have to do the best you can and just go. And that’s the only tricky part of it really. I don’t really know what’s next. I spent a lot of this summer trying to do the whole microadventure thing and I think that’s an idea I’d really like to have grow and expand. But equally I’m aware that I can’t just keep blogging about going and sleeping on a hill. I need to work out some sort of way to evolve the idea, but I haven’t figured that out yet. I’m writing a couple of books at the moment and that will keep me busy through the winter. Then hopefully when the sun comes out again I’ll have a new idea. 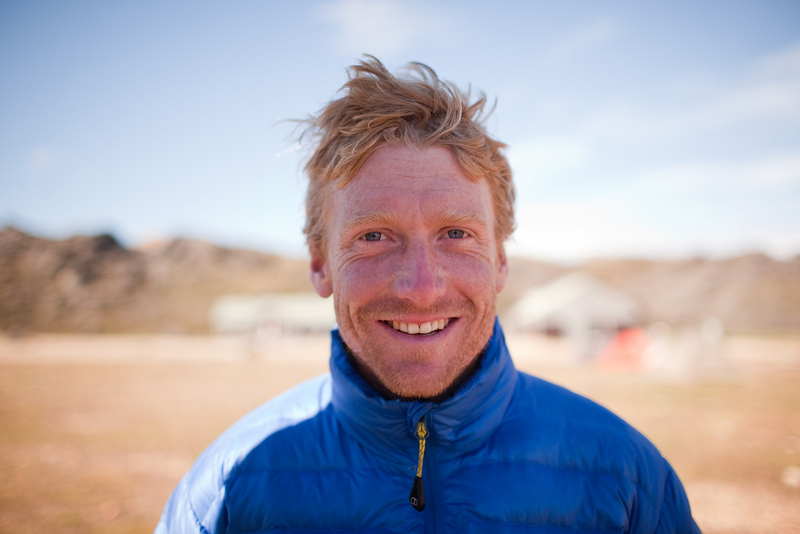 This entry was posted in Adventure, Bike Touring, Interviews and tagged #microadventures, alastair humphreys, bike touring around the world, british adventurers, epic adventure, national geographic adventurer of the year, packrafting, professional adventurer, round the world bike tour. Bookmark the permalink.